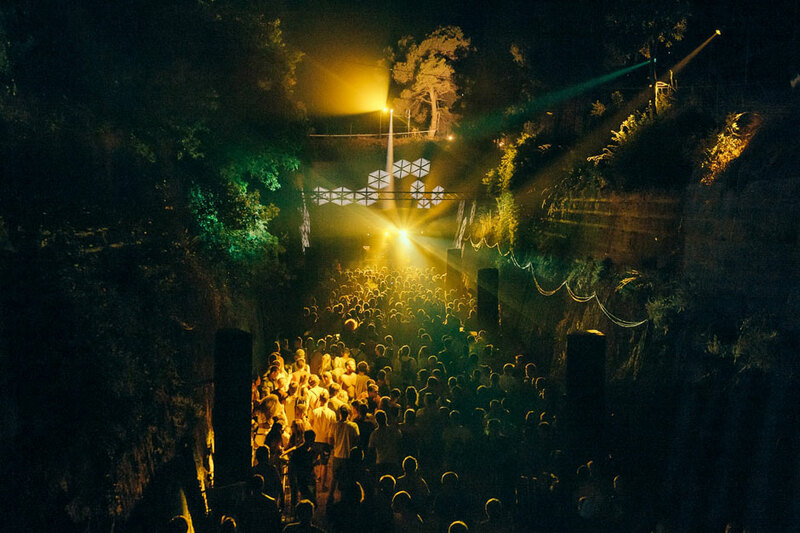 Dimensions, the sister festival to Outlook taking place at Fort Punta Christo in Pula, Croatia, just finished its second edition. Lisa Blanning reports. All photos by Marc Sethi. Above: between stages on the festival site. After less than two decades of stability in Croatia, the world at large is finally discovering its charms. The country consists of so much striking coastline on the Adriatic Sea—where it sits across from Italy—that it seems almost unfair to its neighbor to the East, Bosnia and Herzegovina. Pula is an ancient town which boasts origins that go back to Jason & the Argonauts (according to the tourist guides) and an incredibly well-preserved first century AD Roman ampitheater—the site of Dimensions’ opening concert. Not having attended, I’m kicking myself for missing the venue alone. Not that Fort Punta Christo, a mere 150 years or so old and the main festival site, isn’t impressive enough on its own. And there’s definitely a lot of pleasure in raving (respectfully) in a top tourist attraction. Combined with the gloriously warm weather and its location by azure waters, there is so much magic built right into Dimensions. 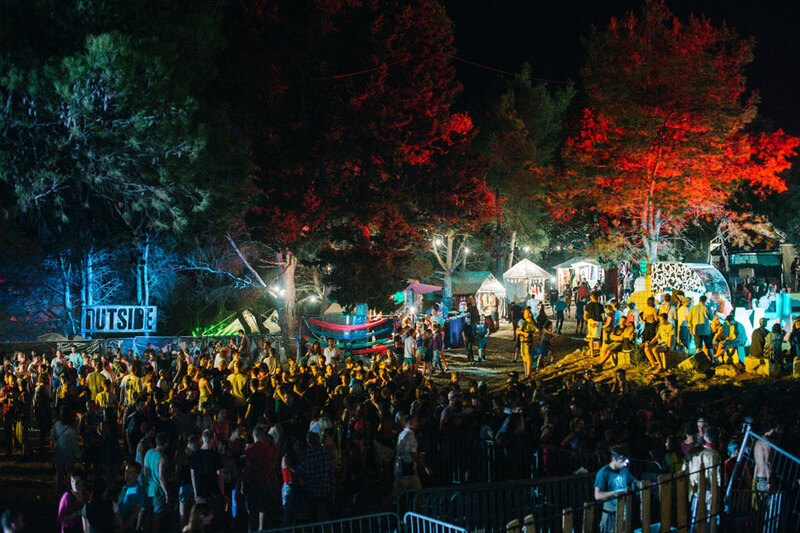 You feel it as you wander the decorated festival site for the first time, finding each of its eight stages. (Actually, I never made it into “Noah’s Ballroom”, an enclosed space that allowed only 75 people in it; it always had a queue.) At least four of these have specialty PAs, with distinctive speakers, and good sound is the norm—more magic. With eight stages for four nights, plus two beach parties and something like six boat parties for each of four days (another eight stages, then) that’s a lot of music going on. It’s staggering to think of the production behind all of this. Which is probably why about 80% of it is ‘curated’ by different organizations: media, local parties, other festivals, labels, etc. And on paper, it appears that the sheer number of DJs and artists performing offers revelers a plethora of choices. On site, however, it mostly boils down to a choice between house and techno. As such, anything slightly outside of this stands out, whether it’s the irresistible drum & bass DBridge offers at Mungo’s Arena—with its beautiful, custom sound-system transported all the way from the Mungo’s HiFi base of Glasgow—or the Leisure System stage, which becomes a bit of a homebase for the Friday night. Hype Williams turns out to be Dean Blunt primarily singing over playback of songs from his odd, old-fashioned ‘pop’ album The Redeemer; Dopplereffekt are completely back on form with skeletal electro and some of the most weirdly funky moments of the weekend; Jimmy Edgar surprises with a varied set whose highlight is an edit, surely his own, stretching Aphex Twin‘s “Windowlicker” like taffy for maximum pleasure; Machinedrum’s mix of footwork and rap is welcome relief. Elsewhere, Mala in Cuba‘s sampled horn and flute riffs with live percussion and keys—provided by Swindle— make a jazz excursion, but when he drops a classic-era track opening the gateway to deep space, it’s a bitter reminder of the true power of DMZ; Surgeon‘s DJ set rams The Moat stage, but perched at the back, above the crowd offers a great view and perfect sound for his uncompromising, banging techno. 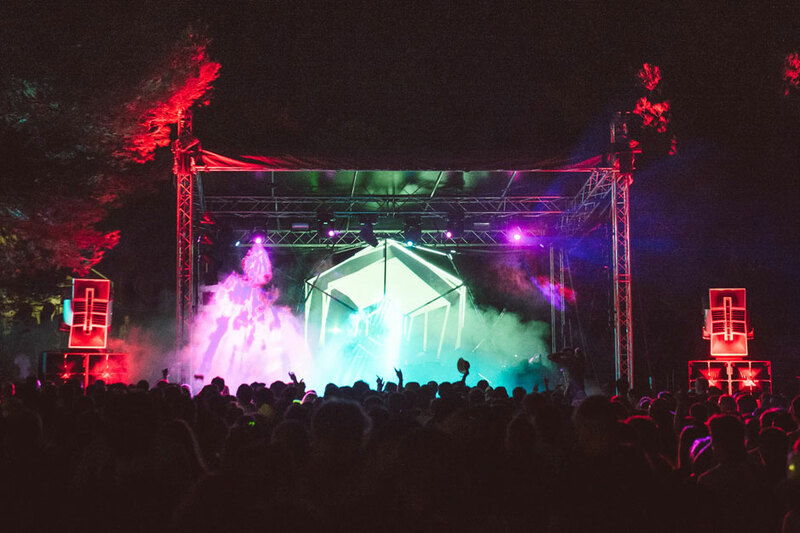 Sunday’s residency of 3 Chairs—it’s collectively named, but essentially consists of rotating DJ sets from Theo Parrish, Moodymann, Rick Wilhite and Marcellus Pittman—at the Outside the Fort stage anchors the night. Every time you drop in on the stage, it’s guaranteed to be good, and it’s sometimes difficult to tear yourself away from the deep soul and funk cuts provided by Theo, or the disco grooves of Moodymann in order to see some other music. As much as I’m tempted to stay there all night, back at Mungo’s Peverelist’s set—the first time I’ve seen him in at least five years—comes up as a festival highlight: lots of swing but with tactical, super heavy 4/4 bass with the lightest, skippiest riddims riding above. Kowton, Pev’s friend and collaborator in Livity Sound, follows it up with bassy UK funky that is pretty fun, especially when it’s mixed with jungle or tough garage and grime. At the Fort Arena stage, Roman Flügel‘s set never quite lifts off the way his previous day’s boat party set did, but its base of house music layered in the Frankfurt school of pleasingly weird sounds makes me wonder if his scene’s promixity to the avant-garde music schools of Darmstadt—where the likes of Stockhausen, Messiaen, Ligeti, Boulez and many more taught or attended—affected their work?